Manufactured to join most types of plain ended rigid pipes or to join a plain ended pipe to a flanged fitting, pipe or valve. 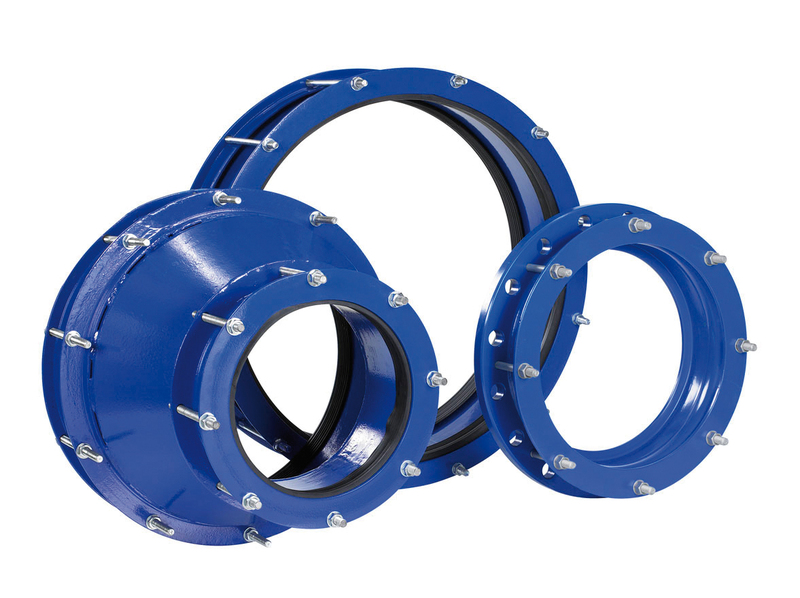 Hegawa straight fit to size couplings, flange adaptors and reducing couplings are manufactured to join most types of plain ended rigid pipes or to join a plain ended pipe to a flanged fitting, pipe or valve. Working pressures may vary from 10 to 40 bar, depending on application. Flanges can be drilled to suit various international standards like ISO, DIN, BS and ANSI. Available from DN 50 to DN 2500 mm. 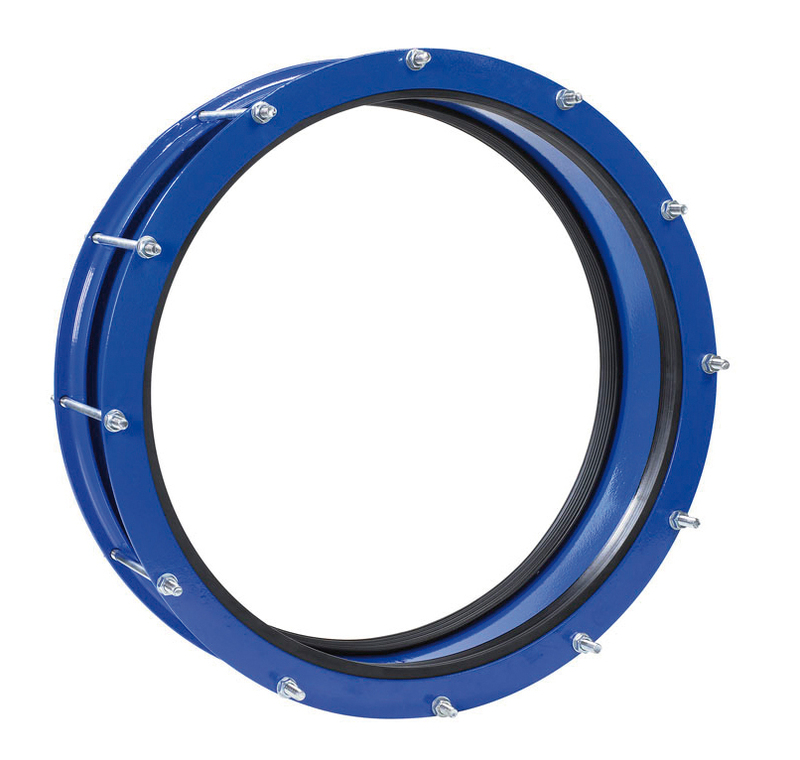 A set of trackhead bolts are tightened moving the end-rings towards each other, compressing the wedge-shaped rubber gaskets in the space formed by the end-ring, the flared middlering and the pipe surface forming a long-term leak-proof seal. To assure long term sealing without any additional maintenance after the initial installation, the design of the components is of extreme importance. The most important component of the coupling is the rubber gasket. The material compound must be capable of retaining ultrahigh loading, extreme temperature variations, vibration, impact and flexing that can be caused by many variables in the pipeline system. The Hegawa gasket compound uniquely developed and engineered to resist all these conditions, when confined in properly designed metal components, guarantees long term performance on many type of sources, including natural gas, oil and under many extreme conditions. The flexibility of the coupling easily absorbs an axial expansion or contraction of max. 10 mm. 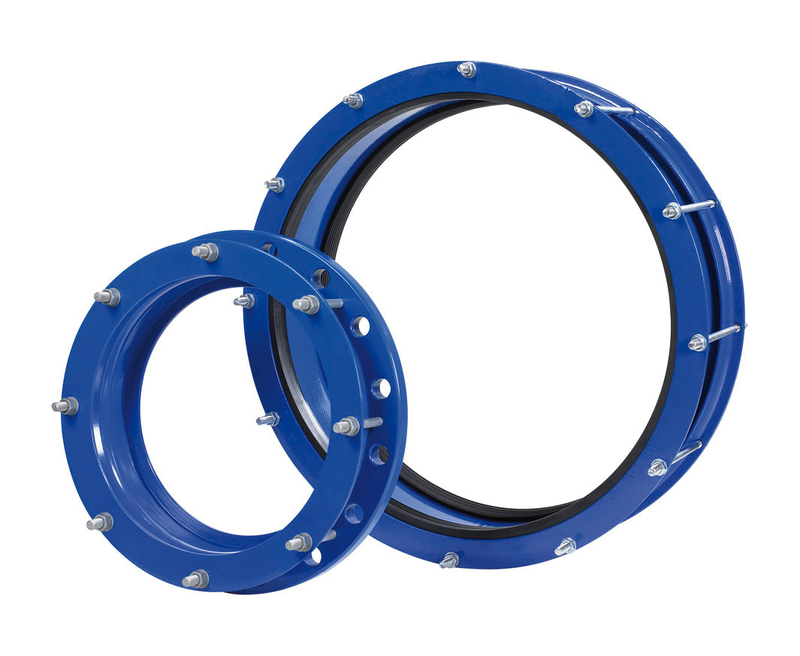 Flange adaptors can absorb an axial expansion or contraction of max. 5 mm. 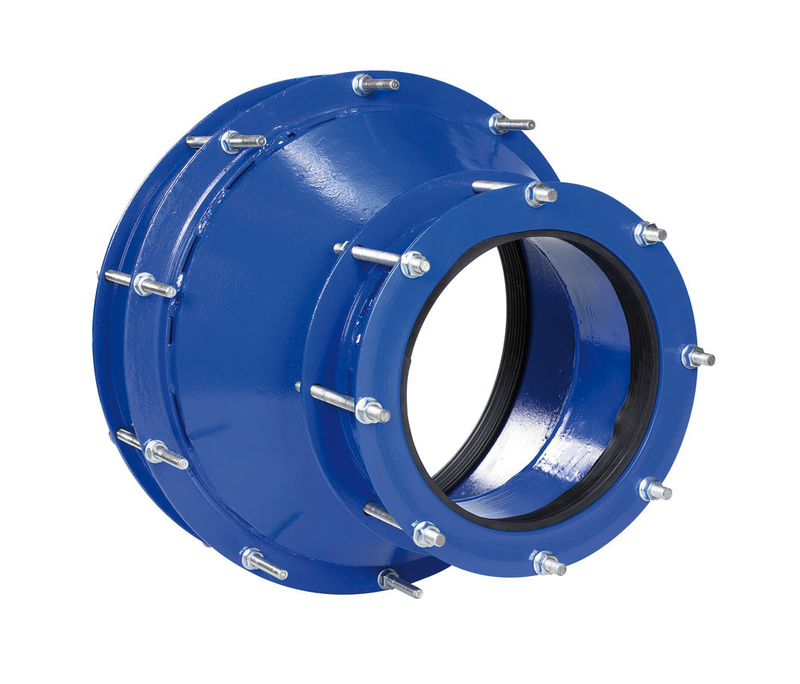 The couplings and flange adaptors can absorb vibrations. Long radius curves or slight bends can be laid without special bends. Accommodates deflection before, during or after installation and service. Accepts some disallignment in straight pipes. Easy installation, all you need is a spanner. A (removable) locating plug can be installed on request. High quality rolled steel to BS4360:1986 Grade 43A. Fusion bonded epoxy coating, thickness approx. 200 microns. A hot dipped galvanized coating or a transit primer is available on request. EPDM or NBR rubber gaskets. Bolts and nuts are made of steel BS970: Part1:1983 Grade 070 and are hot dipped galvanized.